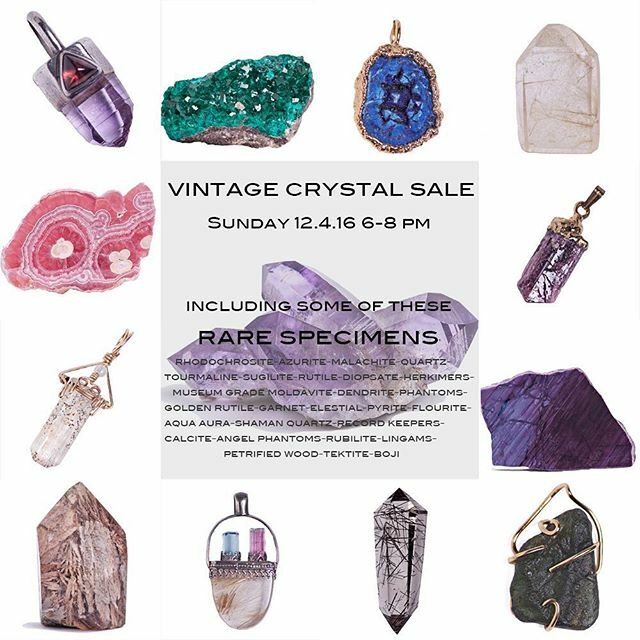 Come sip #Champagne with fellow #Crystal #Queens & #Kings as we debut this #rare #estate #mineral & #jewelry collection on Sunday 12.4.16 6-8 pm.In addition to the opportunity to #shop this rare collection, you will also enjoy 20% off our current #rock & mineral inventory during the event. 20% off excludes estate collection. Psst! Keep an eye out for #blackfriday and #smallbusinesssaturday #deals !